Anonymous (Home buyer): “Usually dealing with real estate agents is like visiting the dentist, but Tara was fantastic (Dennis too when he had to fill in)!!!!! They really knew the local market and we felt like they always had our back and were looking out for what was best for us as opposed to just trying to nail down a sale. Because of their knowledge of the area and what was about to list, we were able to pounce on a property at a fantastic price. Multiple offers came in after we went into escrow at considerably more than we paid. But the service didn’t stop there. When we had issues with an out-of-state lender, Tara immediately recommended a local lender that closed the loan in less than 10 days. When we had a television and furniture shipped to our new place, she was nice enough to meet the delivery truck at our new place to let them in. When we had people that were interested in buying some of the furniture the previous owner left behind, she was willing to let them in to see it. Anonymous (Home sellers): “Dennis was a fantastic agent. He was knowledgable, highly experienced, excellent communicator and negotiator. We had a smooth and easy transaction thanks to Dennis. Dennis was our real estate agent, and he was very helpful through the transition of moving from Mammoth Lakes to San Diego. He is honest, kind, professional, and expertly skilled. 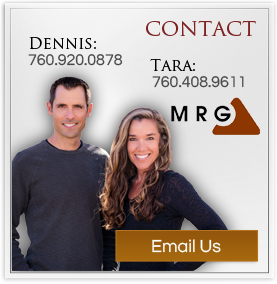 We contacted Dennis when we decided to list our home in Mammoth. He met with us before listing to ensure we were comfortable with the process and our time horizon since we were moving down South within 30 days of listing our home. Dennis quickly put together a home showing and within 2 days of listing our home we had a buyer. He went above and beyond to take care of some loose ends we had so we didn’t have to drive back in forth from San Diego to Mammoth. Anonymous (Home buyers): “Dennis represented us last year when we bought our first home. We met Dennis when we cold-called him about a different property he was listing. At that point, we had already had interactions with a half dozen other real estate agents in town. Based on those experiences, we went into the meeting with a cynical view of realtors. However, we left our meeting with Dennis, not only with our faith renewed in real estate agents, but with a determination that if we ended up buying a home, it would be with Dennis representing us. “Sending a big thank you for such a thoughtful gift. Again, thank you both for all your patience and time. I just wanted to take a moment to thank you both once again for all your patience in helping us find the perfect 2nd home. Joel and I have been here twice a month since we bought our little slice of heaven … What a wonderful gift this little cabin has become. I can’t tell you how much we truly enjoy it. You were both delightful to work with, and we can’t thank you enough. “I contacted your web site, and you responded…..that is good… that is what makes a difference on the internet….web sites that respond on a personal level.